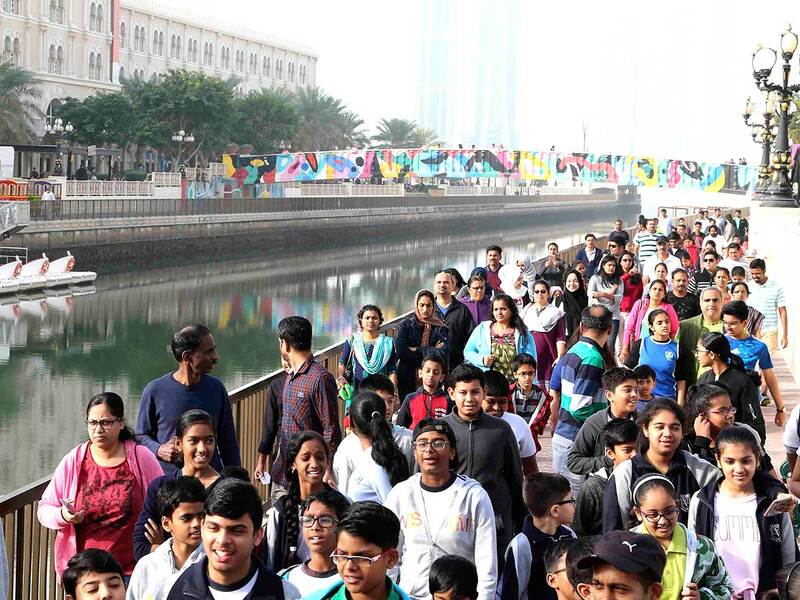 SHARJAH: Hundreds of school students and residents braved the cold morning and collected waste as part of the 3km ‘Recyclathon Run 2019’ at Al Qasba which aims to raise awareness about climate change and the importance of recycling to preserve the environment. The event was organised by the Indian Association Sharjah in coordination with Al Qasba and Bee’ah to inculcate recycling as a way of life in young generations. During the event, participants were briefed by Bee’ah staff on how to separate waste according to recycling categories and to properly place them in the recycling bins. At the end of the event, participants who collected the most trash and placed them in recycling bins correctly were handed awards and certificates by the organisers.